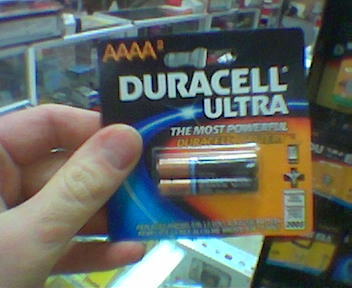 Up until recently, I didn't know that they made AAAA batteries. They're like AAAs, only smaller. Not necessarily surprising, given that gadgets are getting smaller and less energy-consuming, and a single standard of smaller batteries makes more sense than a dozen weird, expensive proprietary types. 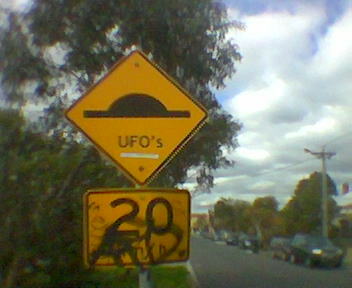 Whether they'll catch on, however, is another question. 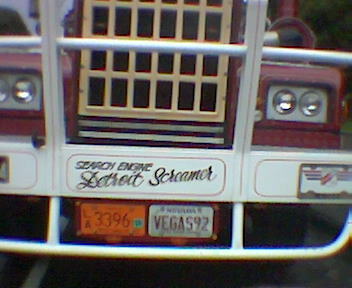 You know you're living in the Interweb Age when trucks have the words "Search Engine" painted on them. 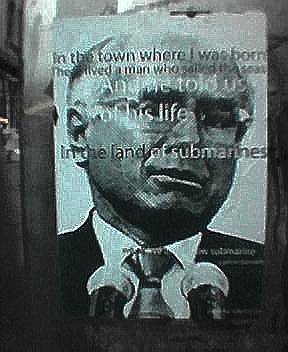 I'm not entirely sure what political statement this poster is making; or maybe the futile quest for a connection between submarines (or perhaps Beatles lyrics) and the Howard government and/or a political grievance is meant to be the Zen koan-like message in itself?